If you sneak and eat a cupcake in the kitchen with the lights out and no-one sees you, do the calories count? Just asking for a friend. Be Mine. Luv U. Hug Me. Kiss Me. Blah blah blah. These are the quotes I stumble across at unexpected times in these post-Valentine Day weeks. Little chalky hearts, supposedly candy, are stashed in nooks and crannies throughout my house. The words sound nice and are very touching messages, but the “candy” itself tastes so god awful there has to be some sort of passive aggressive maliciousness at play. In simpler terms, that candy tastes so bad if you give it to someone, it’s pretty clear that you must not like them that much. They’re like amazingly hard little pellets of bitter powder that has been aged since Lincoln was in office. I don’t care what’s written down, some sweets just aren’t that sweet. Based on the insult they give my tongue whenever I’m naïve enough to try one again (thinking maybe they changed their recipe) we ought to be reading messages such as Go Away. WTF. UR Kidding. Not A Chance. Or for those who are married: Do Laundry. Mow Grass. Have Headache. Diaper Duty. Not Now. Done Already? If UR Quick. 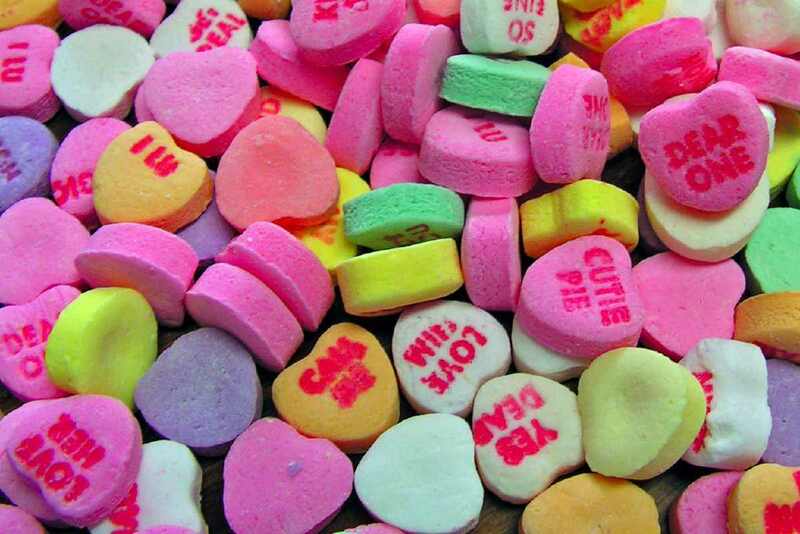 Next Valentine’s Day I would love if some candy company made a series of these treats where the message matched the taste. Until then I’ll continue shaking my head wondering why yet again these anti-candies made it into my house.